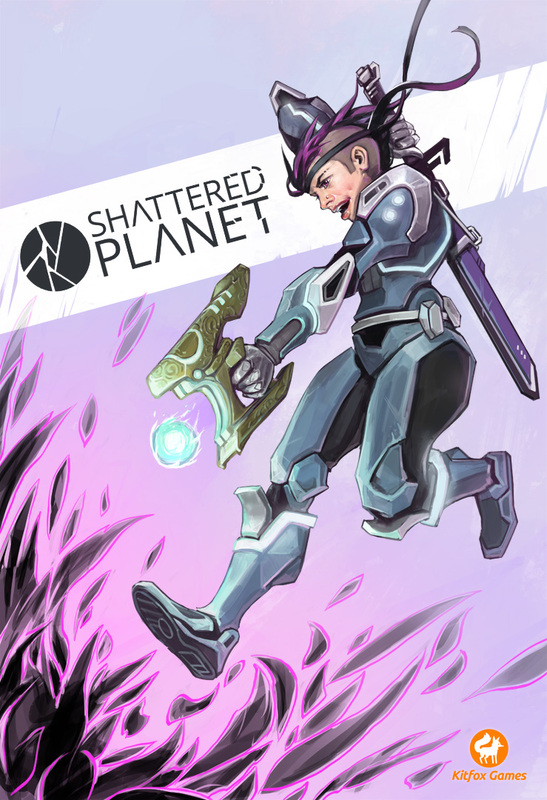 All of the environments, characters, concepts, and backgrounds in Shattered Planet are created by Xin. After creating the “Just in Time” piece, we knew we wanted to also showcase the female character. Where the Renegade was inspired more by Han Solo and Mal, the Assassin’s design is more Commander Shepard and Tron for a different flavor. We also knew that the first piece communicated the core experience of exploring a shattering alien world, but was lacking the urgency and action of the game. So, Xin aimed for more of a “comic book cover” feel, with heavier stylised elements and a foreshortened action pose. For more insight into how Xin goes about painting, check out this video that goes from blank page to finished design. Xin will be attending the Massive Black concept art workshop in L.A. this week to increase his skills further! For those of you out in the interwebs… any comments or questions? This entry was posted in Art and tagged action, comic book, Concept Art, mohawk, painting, punk, techniques, time-lapse by KitfoxGames. Bookmark the permalink.